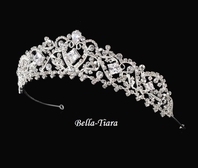 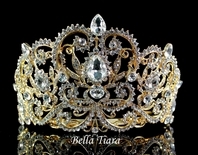 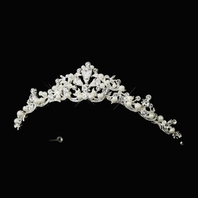 DRAMATIC - DAZZLING Swarovski Crystal Boutique Tiara-SALE!! 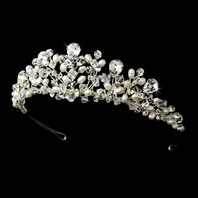 HOME / WEDDING HEADPIECES / Wedding Tiara / DRAMATIC - DAZZLING Swarovski Crystal Boutique Tiara-SALE!! 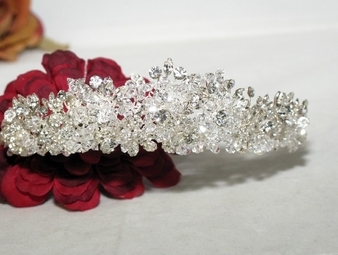 Description: AMAZING DESIGN, Dazzling tiara with clustered Geniune Swarovski Crystal and sparkling austrian rhinestone accented with vines. 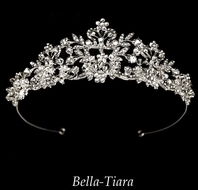 Measures approx 2" tall on a Sterling Silver Plated band with a loop at each end.